As reported by Money Magazine, Zuckerberg was worth around $75 billion on January 2. 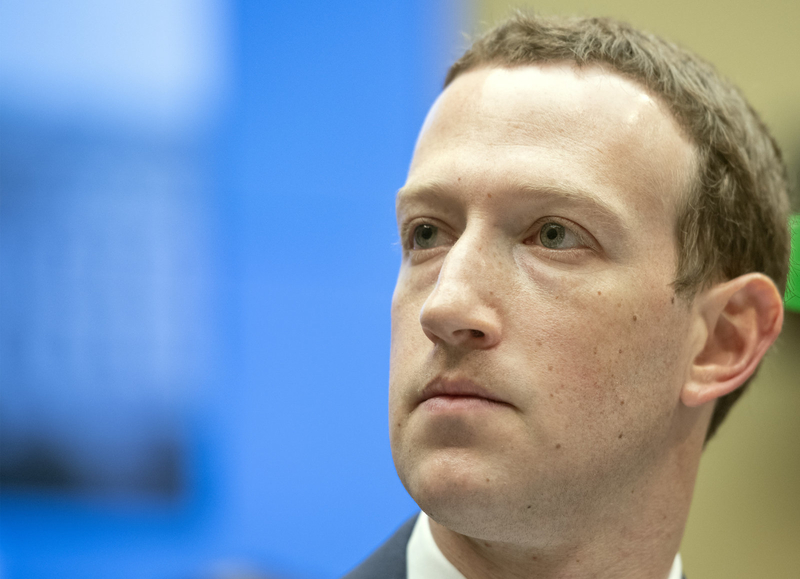 As 2018 ends, that figure is expected to be at least $15 billion lower—the result of a year filled with bad publicity for Facebook, in which he owns a 13 percent stake. Out of the 500 people on the richest billionaires list, none have lost as much as Zuckerberg in 2018. Facebook has had to deal with numerous controversies this year. 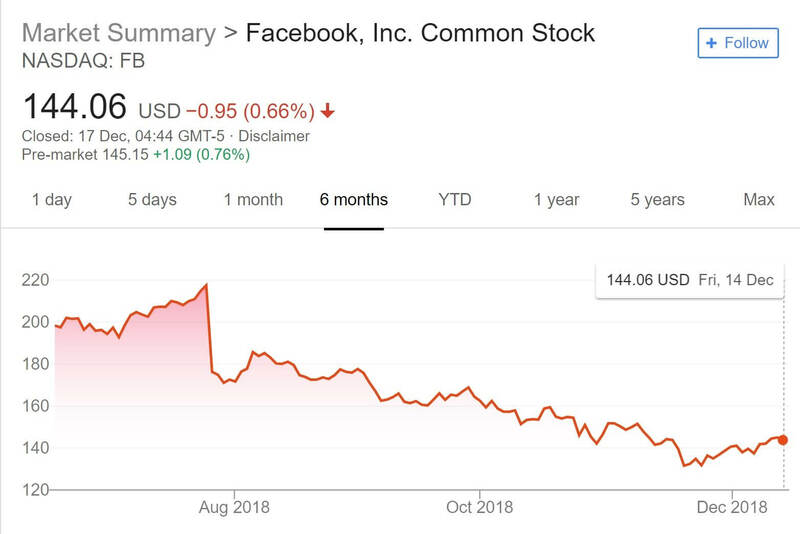 The Cambridge Analytica scandal, several major data breaches, Russian election interference, the spread of hate speech leading to the Rohingya genocide in Myanmar—all have contributed to the social network’s declining share price, which in turn has seen Zuckerberg’s net worth drop. 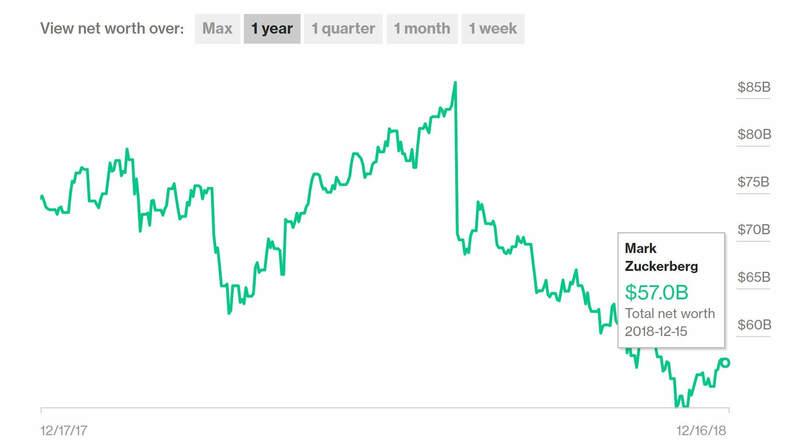 Facebook’s stock was hit hardest back in July. Having missed analysts’ revenue expectations for the quarter, and with Q2 2018 marking its slowest ever user growth rate, the firm’s share price fell 24 percent—the worst single-day loss in share value in the history of U.S. stocks. Over the next few days, Zuckerberg’s worth fell by over $17 billion. Last month, it was reported that Zuckerberg gathered 50 of his top executives together to inform them the company was at “war” and they needed to “make progress faster.” This new aggressive approach has led to turmoil within the firm, with several top executives, including the Instagram and WhatsApp cofounders, resigning. Bloomberg now estimates Zuckerberg’s fortune to be at $57 billion, putting him ahead of Mexican business magnate Carlos Slim and behind Amancio Ortega, the founder of Inditex fashion group. Amazon CEO Jeff Bezos keeps the top spot, thanks to his $132 billion net worth. Is $5 billion per year worth of downloadable content killing creativity?